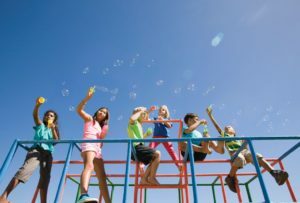 Playgrounds and pools are the definition of summertime fun for children, but these amenities can spell danger for community associations if they aren’t properly inspected and maintained. This recent article from Community Associations Institute is a good reminder of potential safety issues in your community and steps your association can take to avoid problems. Most playground injuries are due to improper, inadequate, or lack of maintenance of the equipment. By establishing and following a maintenance plan, your association is less apt to be liable. A reasonable maintenance schedule isn't a guarantee that nothing will break or that nobody will be injured, but it may make the difference between an injury being considered as negligently caused by the association, as opposed to merely an unfortunate occurrence. Determining the frequency of playground inspections ahead of time and considering the material, equipment, and environmental factors can help associations use staff resources more efficiently and identify safety concerns in the early stages. Additionally, having a qualified expert like a playground maintenance technician turn a critical eye toward the equipment can be helpful. Meanwhile, with swim season in full swing, pool safety should be on associations' radar too. Equipment, lifeguards, chlorine levels, policies, and more have to be considered carefully. Before the season even begins, associations need to find the best contractors for the job. Additionally, associations should weigh carefully the savings of getting rid of lifeguards against the possible increases in insurance costs, repairs, and downtime from damage done in an unsupervised facility. If a community decides to do away with lifeguards, it must display an easily readable sign—at least 3 feet by 4 feet—at every entrance to each swimming area, stating: “No lifeguard on duty." More than half of injuries that happen on playgrounds occur on climbers, especially horizontal ladders, according to the U.S. Consumer Product Safety Commission. The CPSC states that 9 inches of wood mulch should be placed under equipment with a play surface that's 7 feet tall. 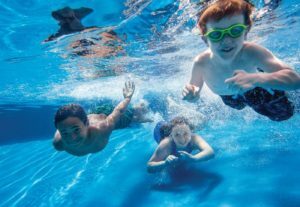 In pools and parks alike, a major safety factor is adult supervision. It's why the NPPS recommends that children be accompanied by an adult on the playground to ensure they are playing on age-appropriate equipment. Like pools that put signs up when no lifeguard is on duty, playgrounds should follow suit and display disclaimers that restrict equipment use by age or weight. Having a solid insurance plan is an association's best defense. Coverage depends on the community, its size, amenities, and risks. An association's insurance should cover all common areas, not just pool and playground equipment.